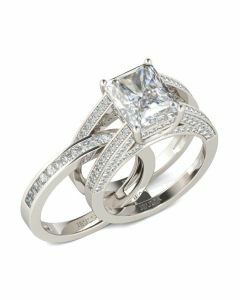 In a stunning display of style and craftsmanship, this luminous ring set is a luxurious ode to femininity. 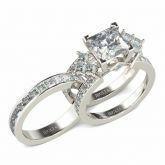 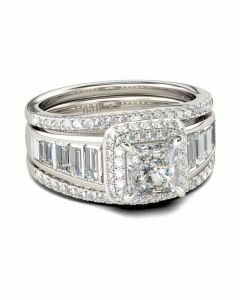 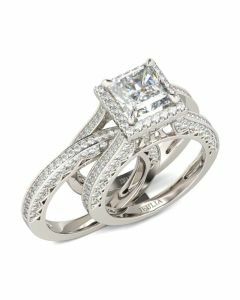 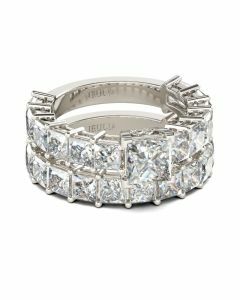 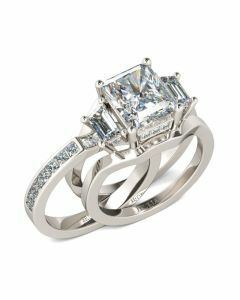 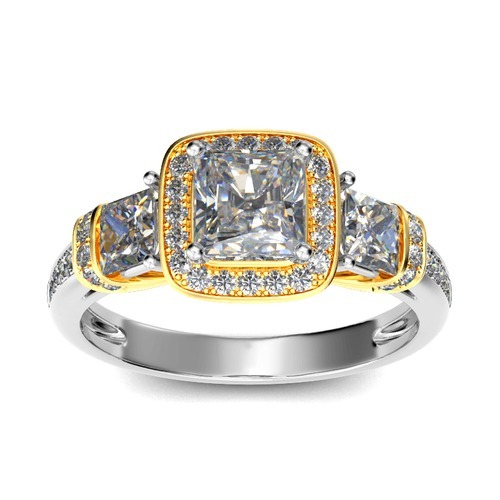 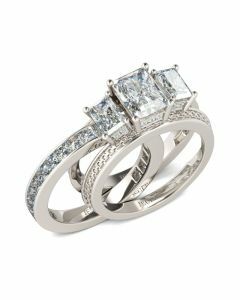 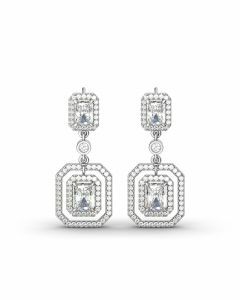 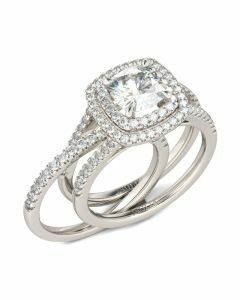 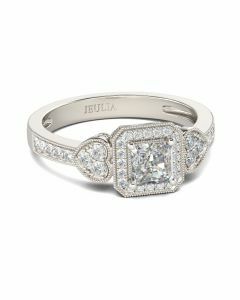 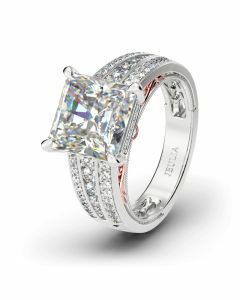 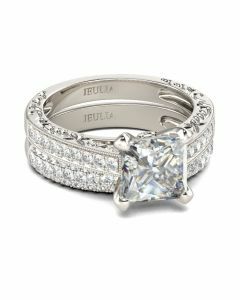 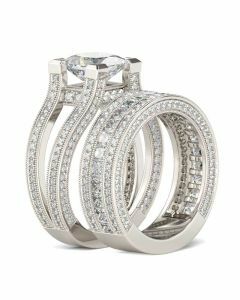 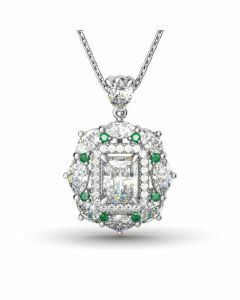 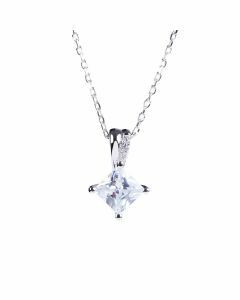 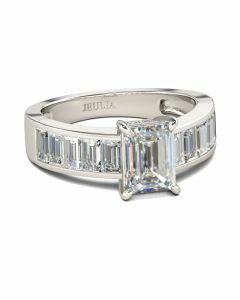 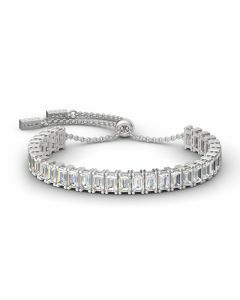 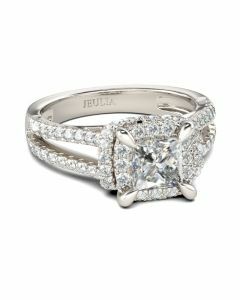 Glistening and glamorous, it features a princess cut center stone flanked by trio of stones. 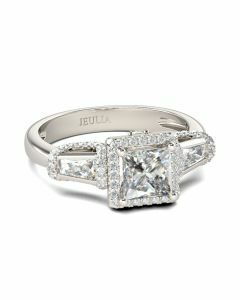 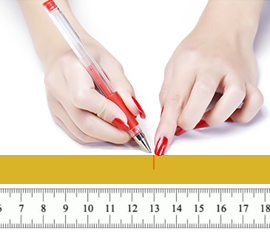 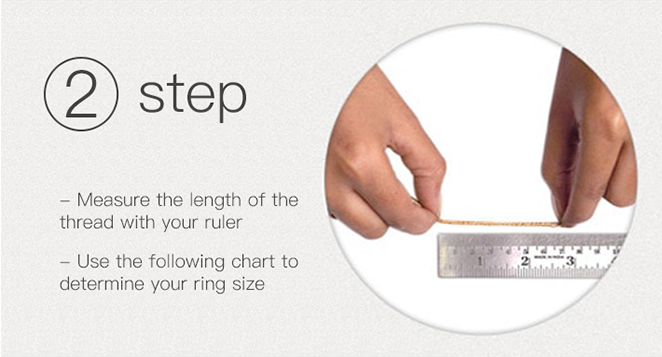 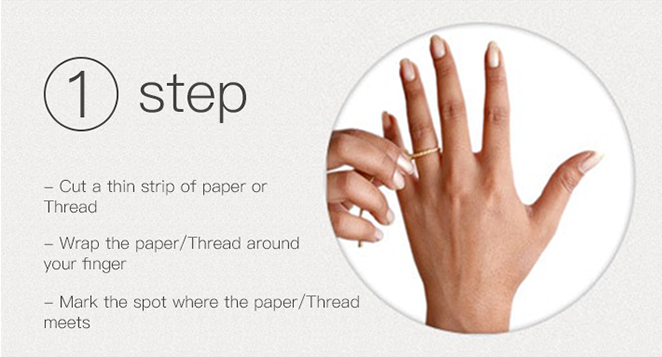 Additional smaller stones adorn the shank as well as the inner band to create more unconventional beauty. 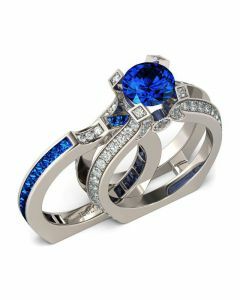 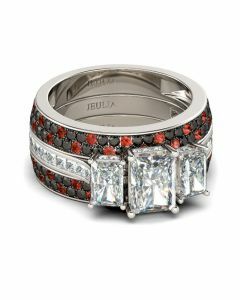 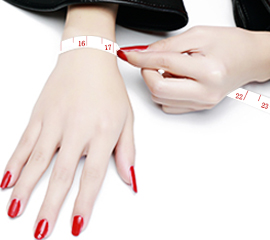 An awesome look of love, this interchangeable style ring set is certain to leave her spellbound.